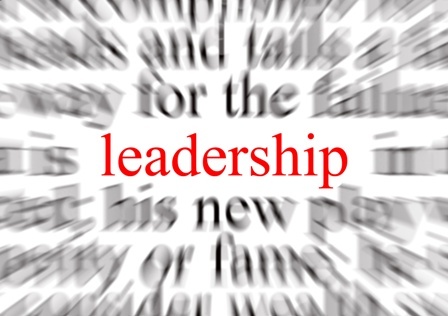 Did you know that 50% of all leaders are below average? It’s a fact. In other words, if you could list out the things a leader of people would do, on a consistent basis, what would it be? I definitely have some ideas and, yes, I realize it is literally impossible to cover all aspects of leadership in a single Standard Work document… but I contend it’s worth a shot. So, dear readers, I’d like to hear what you think. If you were to create a “Leadership Standard Work” document or process what would it look like? Update: Please read part 2 of this article here. 1) Take problems to front line staff to be solved and coach them. Do not solve yourself. 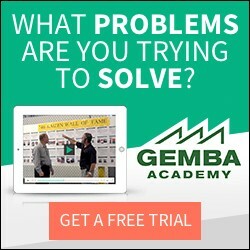 2) 75% of Leadership time must be spent at Gemba to observe, coach, and develop. There are more I am sure but I have to get back to work! 4. Help people to move from the old ways to the new, to change. Actually, though, I was really trying to make a play on words more than attempting to be statistically correct… but since you bring it up I will clear this up for anyone confused about basic descriptive statistics. First, we only use the average and standard deviation when dealing with normal (parametric) data. I think this is what you were probably trying to say when you mentioned the bell curve distribution. However, when our data are not normal, or non parametric, we never use the average or standard deviation to describe the data. Instead, we use the median or mode along with the range. Whether “managers” fall into the parametric or non parametric side of things could be debated and would depend on how and what you were measuring. Once we had the data we’d need to test for normality using something like the Anderson Darling test where the null hypothesis is our data are normal and the alternate hypothesis is our data are not normal. But, to offer one small correction to your advice, it wouldn’t be correct to assume it’s more mathematically correct to use the median until we knew what type of data were dealing with. In fact, defaulting to one type of statistics is a common pitfall many folks fall into… so be careful here… especially since in your field of work (health care) bad statistics could be very dangerous. As an aside, statisticians often call the median a “Barney Rubble” transformation since it can actually mislead you if used with the wrong type of data. To be sure, if your data are indeed normal you would NEVER want to use the median. Thanks for keeping me honest though. It’s not often I get to talk about the Anderson Darling test! And a special thanks to everyone who offered comments on the true purpose of the post. I really appreciate it… and so does my friend who originally asked me the question. They’ve been following your comments closely and plan to use them as they create their own version of this less common type of standard work. If anyone else has thoughts on how they’d create standard work for leaders please keep the comments flowing! There’s probably others but thats the basics for me. Great post and interesting timing as we are also working on something very similar to this. Basically we’re working on all having a one page document that details the things we each need to do every day, every week, and so on. We realize that the higher up a person is the less we’ll be able to “standardize” their work. However, for shop floor workers and supervisors we feel like we can get things pretty structured so everything from the time and duration of the AM standing only meeting to when time sheets should be turned in is on there. We are just rolling it out so will surely learn some things to make it better. I am surprised there has been no mention of a working menu for leaders. If the desired effect is to standardise a leaders work but in reality each and every leader will have some differences in their day to day tasks, the ability to hit those marks will often deign the (perceived) success or failure of those leaders. Think about the key tasks that need to be done, standardise the format to ensure they are visual and will be done. Review the working menu regularly with your own leader. I have used a working menu successfully for the past 2 years, changing it as my role has changed and reviewing it with both my team and my own leader to great effect. Happy to share if anybody would like a copy. Many of the suggestions I have seen in the discussion are handy or even essential, give yourself the best chance to look good by putting them in a working menu and committing to getting them done. Credibility is earned by the individual not by the position of leadership. If asked a question and you do not know the answer, say so and commit to get back to the individual promptly. I f you cannot answer the specific question, say so, as sometimes there are issues in a business that are on a need to know basis. Most importantly know the names of the your team members as addressing an individual by his or her name right away is an attention grabber. Listen first- speak second, acknowledge, and always be approachable. Very interesting discussion, since many leaders think that a working menu is not for them. I was never able to convince a “leader” to plan his daily work and follow up on a regular basis. I am also a strong believer in the working menu or as Toyota name it the minimum job role. This is the definitive standard work for leaders and works to great effect. If you have trouble convincing the leadership team, just ask them to note down what they do as core responsibilities in a normal week and then document it. They soon realise the value in it, and you can include all the things that contribute to the sustainability of a decent Lean deployment. I have applied ths tool a minimum of 4 times across different industries and never been dissappointed by the results. I also have live examples if anybody is interested. Would it be possible for you to share an example of a working menu? It woul dbe very helpful to a project I am working on with out production leaders. First time poster, long time reader… Very helpful article for me as I have been given the task of helping our shop supervisors become better leaders in their day to day activities. I’m very interested in a copy of Steve’s working menu and also Troy’s examples. How do I go about getting those documents? Thanks for your help! Hi Vera! Thanks for the comment… I’ve emailed Steve and asked him if he’d share his document. If he agrees I will post it. Thanks again for the comment. All the best. Also if anyone could post more on “Toyota’s The minimun Role” I would appreciate it. There is a lot more, but those I feel would be of necessity, everything else is just “part” of the job. On your comment of 5th. “However, when our data are not normal, or non parametric, we never use the average or standard deviation to describe the data. Instead, we use the median or mode along with the range”. With non parametric data, can we talk of median or mode? May be when it has order, but not otherwise? A couple of you stated things like, “the higher up you get the harder it is to standardize your daily job.” Everyone tends to at first fall into the “my job is too different to standardize,” or I’m fighting a different battle everyday excuse. However, when you break it down, there are 5-6 things that each of us do daily that are critical to the success of our roles. More importantly there are 5-6 things that we wish we would have time to do that would help the success of our company. When creating standard work for leaders it is important that we capture those 5-6 things, not necessarily that they are completed by 9:05, but that we take the time each day to do them. I also think that we tend to get to subjective with some of the items you all are trying to list. “Motivate associates” is impossible to successfully check off each week, but instead we can list 2 actionable items to do each week that we can check off. Such as a win of the week that you recognize each week. Standard work for leaders is not meant to plan every minute of every day, but is meant to ensure you as a leader are making time to focus on those actionable items that will make a difference in your organization. I took the concept of standard work from the shop floor one level higher: to the supervisor. Our supervisor standard work is a laminated double sided 8″ x 11″. The front side is broken down into 5 categories: Our mission statement, supervisor roles, leadership summary, responsibilities, and accountability; the back side is the basic lean problem solving tools we expect a supervisor to be proficient in from day 1. All categories are the same for our supervisors in North America, Europe, and Asia Pacific, the only change allowed is in the responsibility section. We created a menu of all of the responsibilities any supervisor could ever have, and none are subjective. From this list, we decided on common basic daily, weekly, and quarterly measurable responsibilities for all of our supervisors and gave managers the option to add responsibilities based on culture, location, and function; however, they cannot remove any of the basic responsibilities. The end product is simple, flexible, and easy to use. Please e-mail if you would like to review. Would it be possible for you to share the standard work document that you created and laminated? It would be very helpful to something I am currently working on with our production leaders. I would love to see this if you still have it available.